We have 3 areas, all equiped with internet and natural light. In the Vermeer-room you can seat up to 8 people at the rectangular table. The Van Dijckroom can seat 18 people at a U-shaped table or 26 in theatre set-up. The Renaissance room, slightly smaller than the previous, can seat 14 at a U-shaped table or 20 in the theatre set-up. 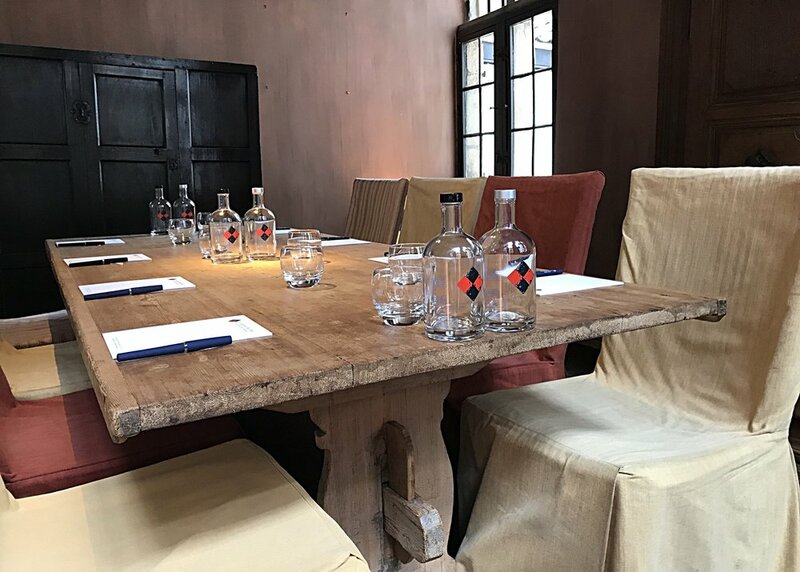 We offer pens, paper, sparkling and still water for all meetings. A flip over, a mobile beamer and screen are also available. These spaces are rented out either from 9 a.m. till noon, from 2 p.m. till 5 p.m. or from 7 p.m.till 10 p.m.. The cost for the use of any of these rooms is € 200. You can also start your meeting with coffee in our resaurant bar, or have a break as you go. With this arrangement, we offer you coffee or tea, sparkling and still water,fresh orange juice and something sweet (8 euro p.p.). Other drinks will be charged at our going rates.